Calm market indicator for scalping fans! 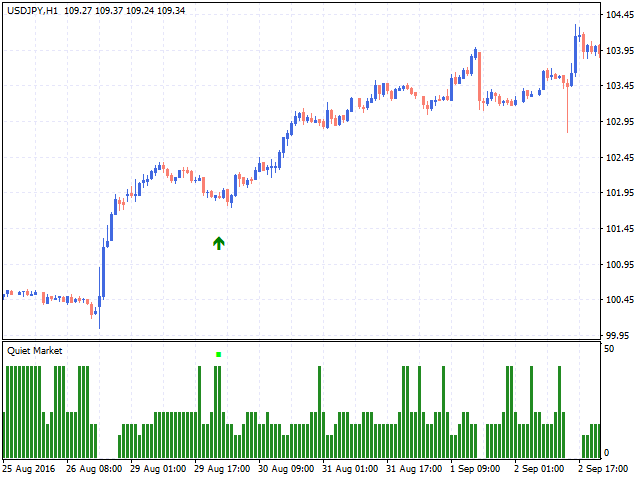 Entries are calculated during very low market volatility based on overbought and oversold levels. 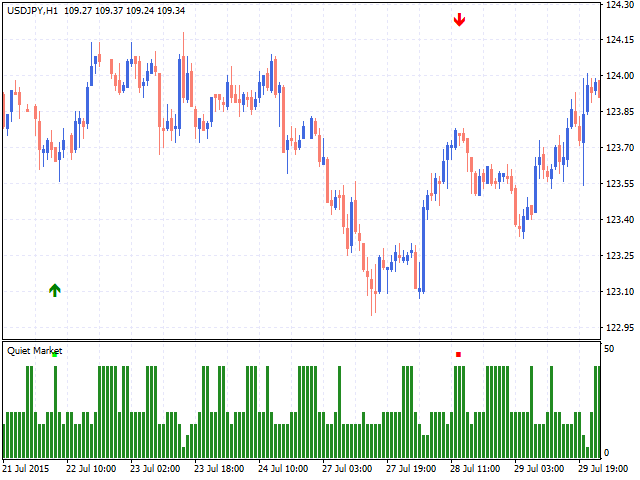 In the indicators settings, you can configure the operation period, the time for the calculation of signals, as well as sensitivity to market activity and overbought/oversold levels. 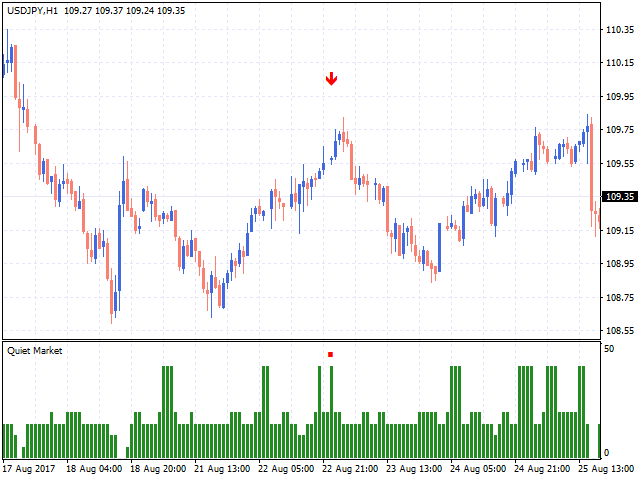 The market activity level is displayed as a histogram with values 0-40, where 40 is a very calm market and 0 is a very active one. Squares and arrows indicate entry signals. The recommended pair is GBPUSD, H1. Take profit is not more than 6 points (for quotes 4 decimal places), or 60 points (for 5 digits). Do not consider signals during news releases, as risks increase significantly. Signal Alert - notify when a signal appears.